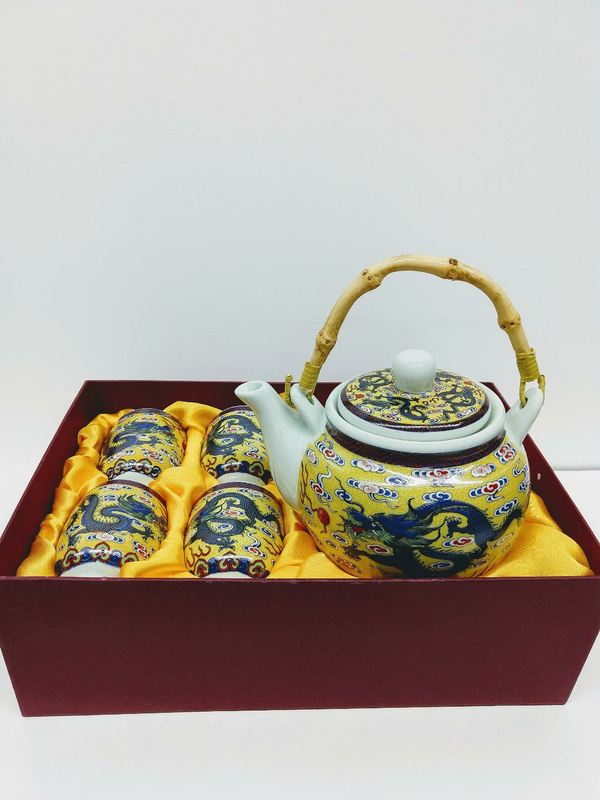 5 piece tea set with blue dragon motif on imperial yellow background, with bamboo handle and infusion. Teapot width from tip of spout 6 1/2". Cups 2 3/4" in height. Tea set comes in own gift box.